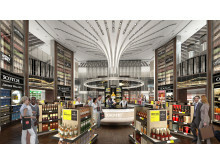 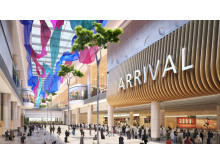 A centralised double-volume Arrival Hall gives passengers a sense of space in natural light, providing a warm Singapore welcome. 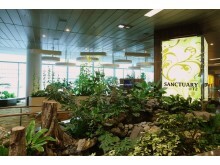 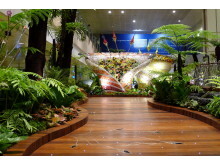 Please credit photos to Changi Airport Group. 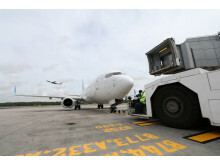 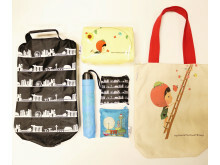 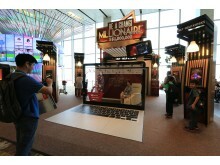 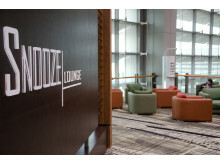 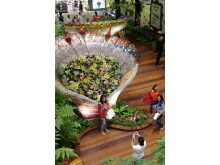 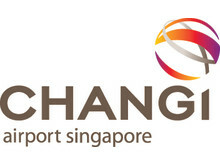 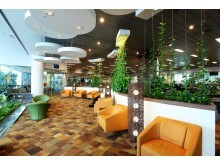 For more images, please write to corp.comms@changiairport.com. 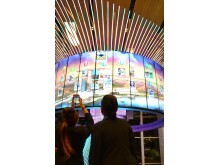 Passengers can store their photo and video memories with a unique login and password combination. 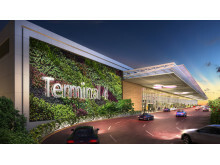 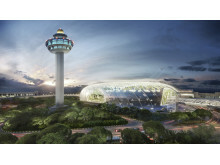 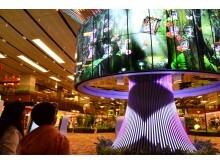 Memories for keepsakes, passengers can return to Changi Airport and retrieve their photos from the booths surrounding The Social Tree. 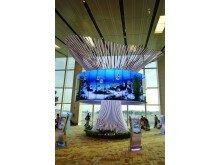 Passengers look on fascinated as they see their photo memories uploaded onto The Social Tree. 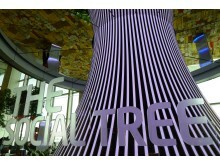 The trunk of The Social Tree is made up of 100 aluminum bars that uses LED lighting. 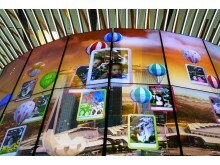 The 64 TVs that crown The Social Tree display a 360-degree view of 5 different dynamic backgrounds. 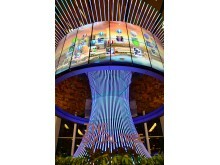 The Social Tree is surrounded by 8 interactive booths made from 32-inch TV screens with touchscreen capabilities. 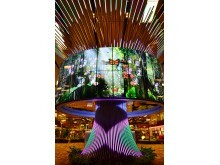 The Social Tree glows in a beautiful array of colours in the evening. 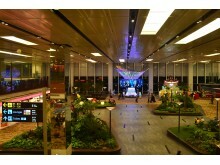 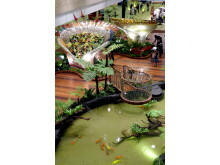 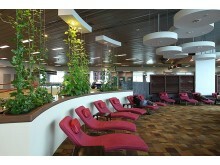 An airside view of Singapore Changi Airport.